Jared Hemingway raised. 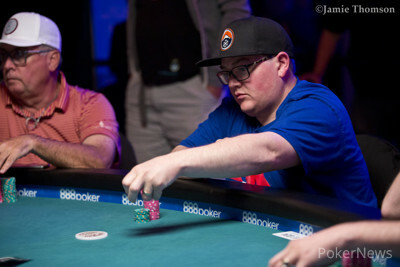 Next to act, Forrest Auel moved all in for 130,000 total — just 10,000 more. Ryan Paluf and Hemingway both called. Hemingway and Paluf checked it down through the runout, and the three hands were turned up. Paluf made a flush, and Hemingway made a low with his , and that was it for Auel. 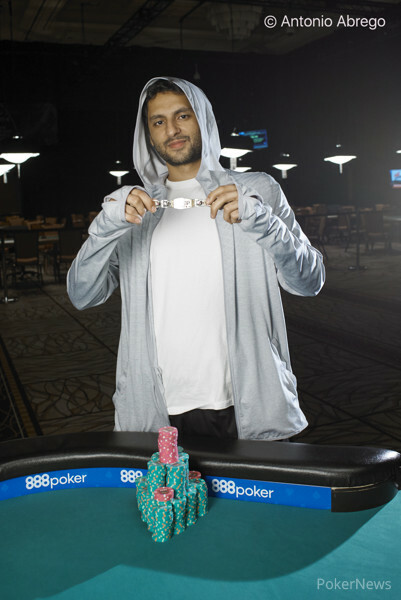 He was eliminated from the tournament and collected $38,946 for his efforts.